You’ve never met a family like the Kuhbrots! STAGE 773 1225 W. Belmont St. When a stranger appears out of “Nowhere” one moonlit night, all hell breaks loose in the Kuhbrot house! Don’t miss this screwball comedy that has some of the best music you’ve never heard before! 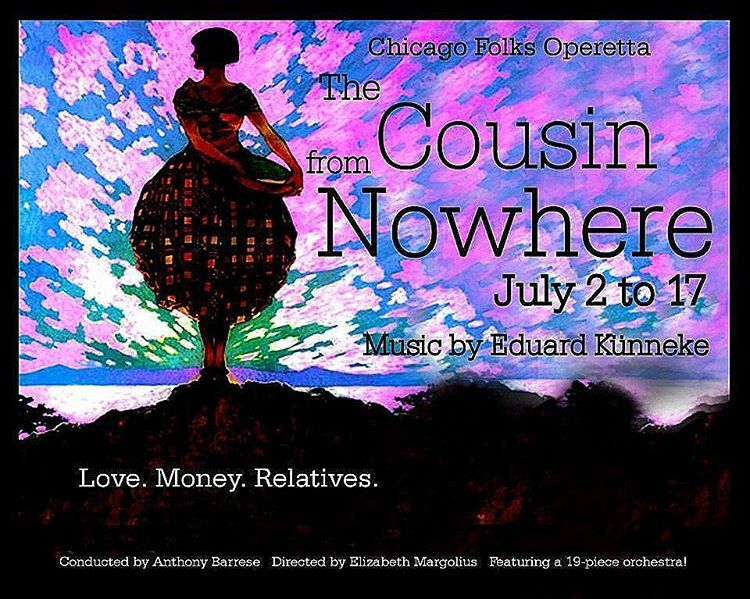 Featuring a 21-piece orchestra, The Cousin from Nowhere is pure summer fun!